With the primary round of election for the National Assembly 2018 just near the doorsteps, one of the most common observations cited by politicians in the field is that majority of the Bhutanese electorates have matured enough to better comprehend the electoral processes and analyze the unrealistic political pledges well without being swayed easily. Although only two parties will qualify for the general round of election, it will add great value and credibility if the party presidents at least secure a seat from their home-dzongkhag or constituency, even if the two parties do not make through the primary round. While the party presidents of PDP and DPT have an established-base in their home-dzongkhags or respective constituencies, the two new presidents, Neten Zangmo of Bhutan Kuen-Nyam Party and Dr. Lotey Tshering of Druk Nyamrup Tshogpa have started from scratch to secure their trust and solicit the voters’ support. The loyal bloc of voters from Haa have displayed their unwavering support to the People’s Democratic Party (PDP) since the first parliamentary election by electing their native man, Tshering Tobgay for two elections in a row, who went on to become president of the People’s Democratic Party and the Prime Minister. The PDP, therefore, has well established roots in the region by winning seats from both the constituencies during the 2013 elections. However, with anti-incumbency sentiments either inflicted by rival parties or through their own discernment, the depth and magnitude of PDP dominance in the dzongkhag can be better substantiated only after the results. Haa dzongkhag currently has 7,818 electorates registered for the primary round, of which 3,645 voters are from Sombeykha constituency which is the PDP president’s home constituency, and there are 4,173 registered voters from from Bji-Kartshog-Uesu constituency which was represented by PDP MP Kinley Om for the last five years. There has been a notable increase in the number of electorates from Haa this election as compared to just 4,432 voters who voted during the 2013 primary round elections. The PDP, having been accepted by the majority of the people from Haa for last five years and beyond, so the other three parties would have to chip in much more alluring commitments to at least secure a seat. Passang said that there are also challenges in marketing their agricultural and dairy produce, which is hindering the earnings of the farmers. PDP during their tenure has deliberated on this issue several times and came up with measures and platform for regional cooperation for sustainable yak production which is currently at the initial stage. PDP has prioritized highland development as one of the important programs in the 12th FYP. While the people of Chhoekhor-Tang constituency, Bumthang elected DPT’s Dr. Pema Gyamtsho two elections in a row, who was later elected as the president after the resignation of the former president soon after the party’s defeat in the 2013 election, the people of Chhumig-Ura constituency under Bumthang, however, elected PDP’s Tshewang Jurmi as their choice during the 2013 elections. The candidates of DNT and BKP would have to race along the two established parties, DPT and PDP in this election. Bumthang Dzongkhag currently has a total of 9,836 registered voters of which, 6,051 voters are from Chhoekhor Tang constituency, secured by DPT for the past two elections, and there are 3,785 voters registered from Chhumig-Ura constituency. Druk Nyamrup Tshogpa’s candidate, Dawa Tangpa from Bumthang, Chhoekhor-Tang constituency said that PDP during their tenure brought in several developmental activities in the Dzongkhag and there are no major issues affecting the people of the Dzongkhag. He, however, said that during his visits, people came forward to express their grievances on the unfair distribution of the loans through PDP initiated REDCL. PDP’s candidate from Chhoekhor-Tang constituency Kuenzang Thinley said that PDP has fulfilled most of the pledges in Bumthang. “And it’s totally baseless to say that the REDCL employees favored PDP supporters. The REDCL employees are totally clueless as to who supports which party. Moreover, there are procedures to apply for the loan, so those who haven’t met the terms and conditions, must have been rejected which led to such speculation,” said Kuenzang. DPT once had dominance in the capital after securing both the seats two elections in a row but sitting MP Kinga Tshering from North-Thimphu constituency decided to resign midway in 2016, citing his wish to pursue further studies outside. In what was a clear sign of betrayal felt by the voters and vigorous campaign by the PDP, PDP’s candidate from North-Thimphu constituency won a landslide victory after having secured 75.5 percent of the total votes in the by-elections. While DPT is working to mend what is still an open wound and trying every damage control narrative to restore what was once considered a DPT stronghold but there is also a challenge from the DNT’s president, Dr. Lotey from South Thimphu constituency. Thimphu Dzongkhag has a total of 14, 406 registered voters, out of which 6,604 are from North- Thimphu and 7,802 from South-Thimphu. Samdrup Jongkhar currently has one of the highest registered voters in the country with a total of 25,826 voters registered so far, out of which 14,579 voters are from Dewathang-Gomdar Constituency and 11,239 from Jomotsangkha-Martshala constituency. 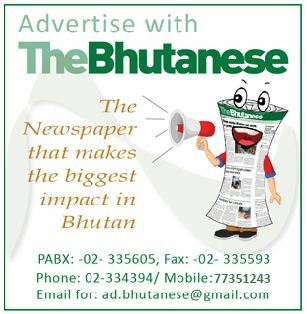 With PDP having established its base in both the constituency during the last five years, the rest of the candidates contesting the elections, including the president of Bhutan Kuen-Nyam Party, Neten Zangmo from Deothang-Gomdar constituency will fight on her hands garner the support of the voters.